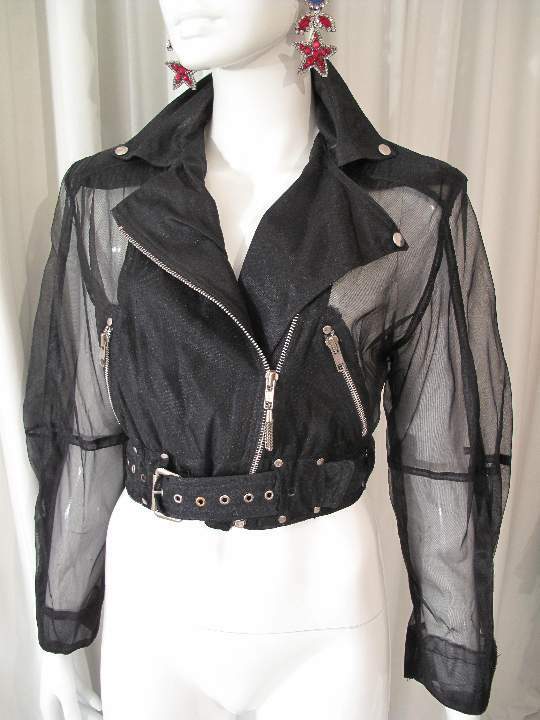 1980's Sheer nylon cropped vintage biker jacket. Another original design, not seen this idea in recent years. 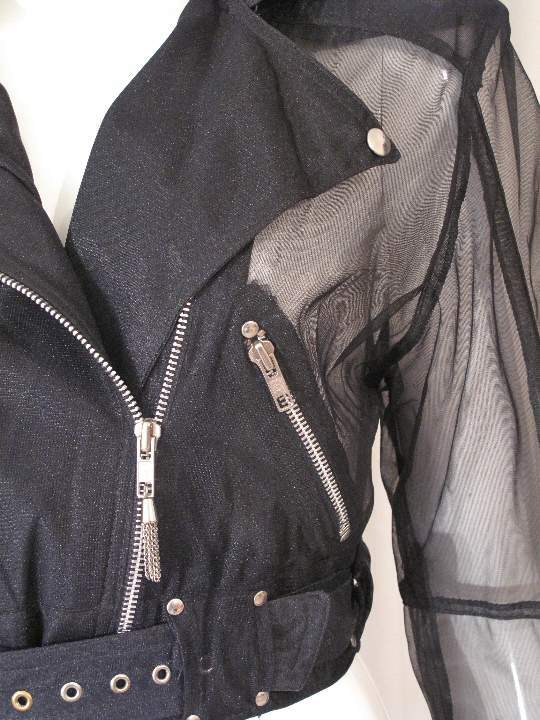 The jacket is made of a dense, sheer black nylon. The beauty of the jacket is that they haven't stinted on the authentic details of a leather bikers jackets, which is why this piece really works. There are chunky silver zips at the cuffs, two at the back waist, on the two front pockets and the centre front zip opening. The jacket also has silver poppers and studs. 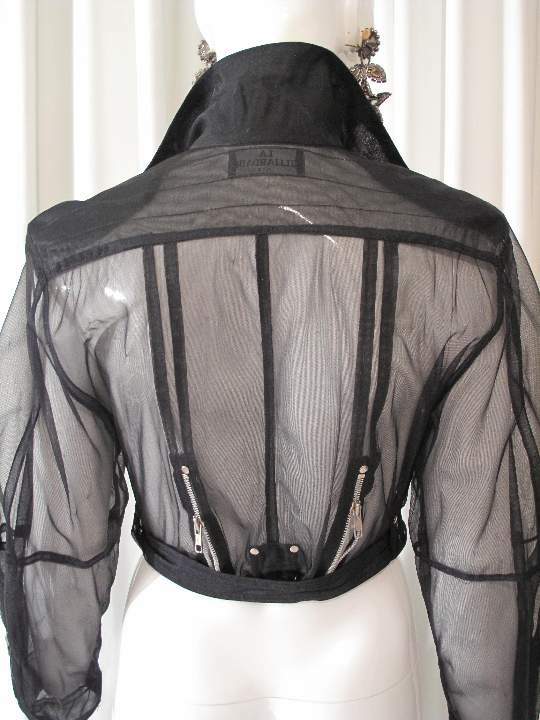 The waist has a self belt with silver eyelets and silver buckle. 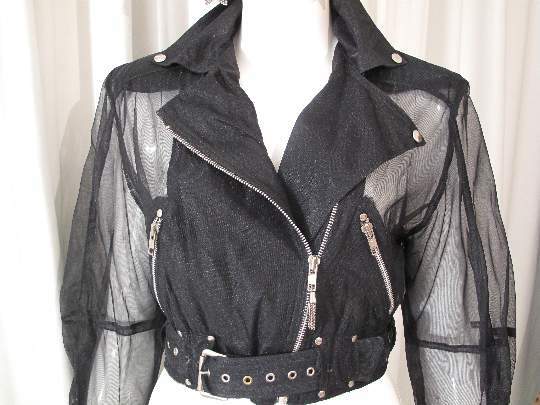 The shape of the jacket is classic Eighties cropped and has shoulder pads. 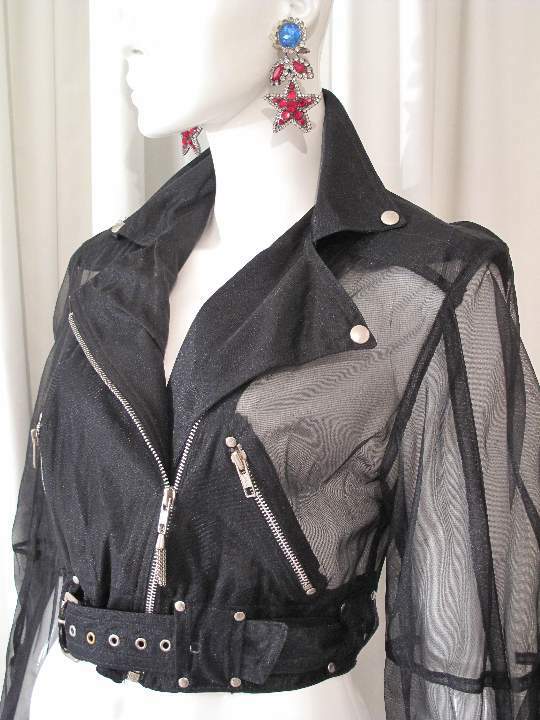 This play on classic styles, made in unconventional fabric, was a big fashion theme in the 80's, especially with designers such as Mugler and Gaultier. This vintage piece would be great worn 'Madonna-esque' with just a bra underneath or over your favourite LBD.